Warm weather has arrived, which means you can move the showers, brunches, dinners, and all the other spring and summertime celebrations outside. Whether you're hosting a big backyard BBQ or an intimate dinner party al fresco, there is a lot to consider when entertaining outdoors. 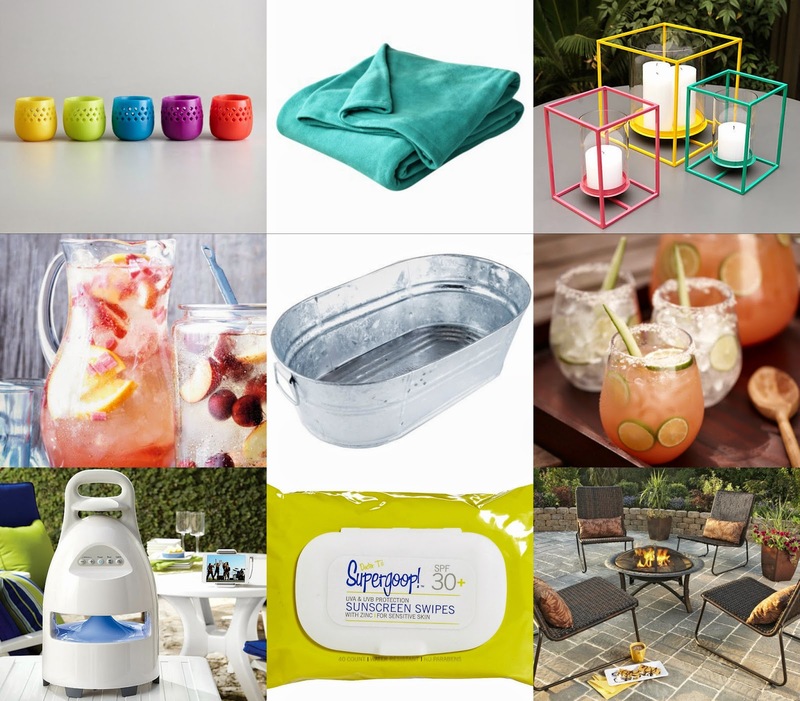 The menu and decor are most important, but don't forget these essentials for the perfect outdoor party. 1. Citronella candles in fun, bright colors are as festive as they are effective. Place them around the perimeter, on tables, and any other flat surface. 2. Keep blankets on hand in case anyone gets chilly as the sun goes down. 3. Lighting is both for ambiance and for when the sun goes down. A combo of twinkling holiday lights strung in trees as well as candles in hurricanes or lanterns is always pretty. 4. A good cocktail recipe is a must for any outdoor soiree. 5. Prevent accidents with shatter-proof plates and drinkware that are actually stylish. 6. That old Igloo cooler was great for tailgating in college, but galvanized metal tubs are so much more chic for housing ice and beverages. Plus the metal will keep it all colder longer. 7. Music is a must; keep the party going with a wireless outdoor speaker and dock that transmits from up to 150 feet away. 8. Be the hostess who thinks of everything--have sunblock available if your party takes place during daylight hours. These wipes leave no goopy mess and are gentle enough for kids too. 9. A firepit is always a nice touch. Buy one, or find a DIY firepit that fits your budget and skill level.